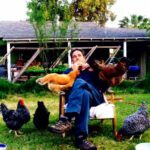 February 4, 2019 | Filed in: Chicken Coop Tour The Garden Coop. 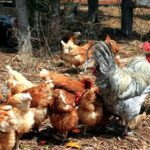 The objective of the tour would be to educate people about keeping hens by showcasing various hen houses and breeds. Coop proprietors take presctiption hands each and every place to discuss chicken-keeping and you will find possibilities for photographing and understanding the chickens. 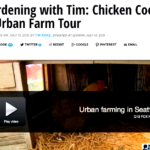 Expect a multitude of coop styles and gardens – making the tour interesting for the entire family. Dogs and companion creatures aren’t permitted around the tour. Should you not possess a Gps navigation system, a town map will be handy. All tour proceeds benefit Urban Ministries of Wake County. Have more details and buy tickets at tourdcoop.com. The Alliance for Historic Hillsborough and Hillsborough Garden Club hosts its biannual Spring Garden Tour event May 20-21. Your garden tour event, that has “Town and Country” since it’s theme, features a plant purchase along with a photography exhibit. Garden Tour: 10 a.m.-4 p.m. May 20 and noon-5 p.m. May 21. It offers 12 private gardens (five around and 7 rural) and five public gardens. Tickets are $25. Plant Purchase: 1-5 p.m. May 19 and eight a.m.-5 p.m. May 20 in the Passmore Senior Center (103 Meadowlands Dr., Hillsborough). Plants from Plantworks Nursery and garden club people includes deer-resistant, drought-tolerant, pollinator and shade-loving varieties. Photography within the Garden exhibit: May 8-June 9 in the Passmore Senior Center, by having an opening reception on May 8. Hrs: 8 a.m.-5 p.m. Monday-Friday. Additional hrs: 10 a.m.-4 p.m. May 20 and noon-5 p.m. May 21. Includes exhibits of art by local photographers that is representative of Hillsborough gardens. Free. 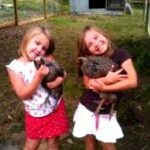 Get full detail around the occasions and tickets at hillsboroughgardenclubnc.com. 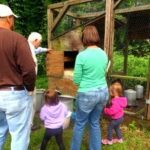 Tar River Land Conservancy’s Field Day around the Farm event happens 11 a.m.-2:30 p.m. Saturday, May 20. Activities include catch-and-release fishing, door prizes, live bluegrass music by Mule Town, a catered lunch, wildlife display tables, children’s activities along with a led hike along Shelton Creek and also the Tar River. Across the hike you’ll find out about local wildlife and freshwater mussels, native plants, water quality protection and sustainable forestry practices. The Area Day happens on Mill Creek Farm, 5178 Gooch’s Mill Road, Oxford (Granville County). Mill Creek Farm is a member of Tar River Land Conservancy (TRLC) supporters Randy and Barbara Guthrie. Admission is $15 for people of TRLC and $20 for non-people. To join up, visit tarriver.org or call 919-496-5902. Register by May 15.